The Platinum Wedding Coin Reaches One Hundred Thousand Strikes. In 2017 the nation joined together with Her Majesty The Queen and Prince Philip, as they became the first royal couple in our history to celebrate their Platinum Wedding anniversary. We will never, in our lifetimes, celebrate another Royal Platinum Wedding Anniversary. Ever since this record breaking date our presses have been busy minting the 2017 Platinum wedding coin issue and we are proud to announce that we have not only reached but exceeded one hundred thousand strikes. 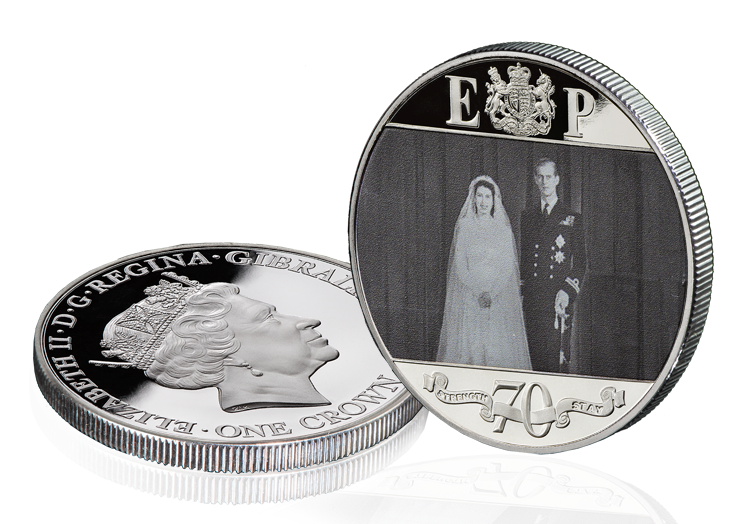 Struck in crown size, following in the tradition of Royal Commemoratives, and to a Brilliant Uncirculated quality the coin has a flawless mirror-like finish the Platinum wedding coin is the perfect way to mark this moment in British history. 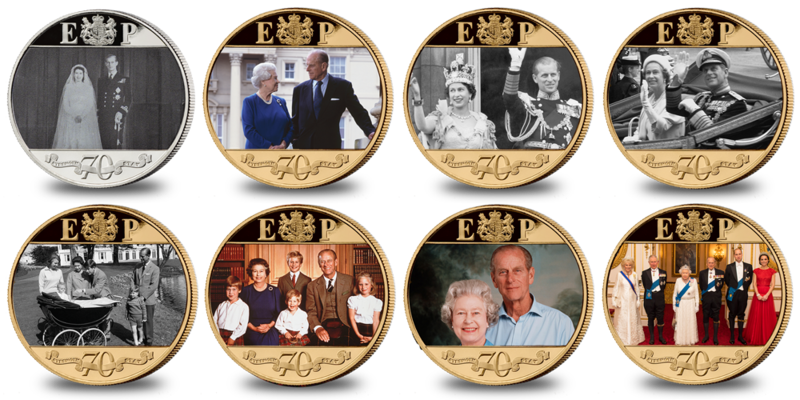 The reverse depicts the initials of the royal couple, E&P, presented either side of the Royal Coat of Arms. Using the very best in photographic print technology the centre of the design features the wedding photograph of the happy couple. The obverse shows the effigy of HM Queen Elizabeth II by British and Commonwealth coin designer Raphael Maklouf. Above: The rest of the coins in the platinum wedding coin series. To order the platinum wedding coin please visit http://www.freeweddingcoin.co.uk.